Online voting will open Nov. 1. Ballots will be delivered electronically to those with emails on file with ASPA. For those whom ASPA does not have an email address on file, paper ballots will be mailed. To confirm your address with ASPA, please contact the Membership Department at 202-585-4310 or log in to your profile on the ASPA website (www.aspanet.org). An ASPA member since 1992, Facer served the Section on Personnel Administration and Labor Relations (SPALR) as treasurer (2003-2006), Chair-elect (06-08), Chair (08-10), and Past-Chair (10-12). He served on ASPA’s finance committee (07-12), including service as Chair (09-10). He was co-chair of the Strategic Imperative Group 2 with Susan Gooden (11-12), chair of the Founders Fellows and Mentoring efforts (12-13), a member of the ASPA 75th Anniversary Commission (12-14), and a member of ASPA’s National Council (13-14). Facer received his Ph.D. from the University of Georgia. He is Associate Professor at BYU where he teaches in the MPA program. President Barak Obama appointed Facer to the Federal Salary Council in October 2010. Facer served on NASPAA’s Commission on Peer Review and Accreditation (COPRA), including a year as Chair (’09-’12). His research has focused on public sector pay, alternative work schedules, municipal annexation, and local public finance. I am deeply honored for the opportunity to run for ASPA Vice President and to follow in the footsteps of so many outstanding leaders. I believe ASPA is and must be THE network for practitioners, scholars, and students of public service. To accomplish ASPA’s mission it is critical to build on our strengths, but also be willing to make strategic changes to accomplish our mission. Public Service is a grand and noble profession, and ASPA should be a vocal and leading advocate for good governance in public service organizations. Practitioners, Scholars, and Students are all critical to ASPA’s success. Together we can do more than we can individually. ASPA must be a leader in public administration scholarship and practice. ASPA members improve governance around the world. We must not forget that ASPA is a membership organization. Therefore we must ensure that we offer benefits that will not only bring people into the organization, but also make it worthwhile for them to stay and contribute to the organization. ASPA has done that for me. I have benefited greatly from the conferences, publications, professional networks, and most importantly the friendships I have developed through ASPA. I believe that now more than ever it is critical to not only raise the clarion call of support for public service, but to find new and innovative ways to provide public services and bring more highly qualified people into a profession committed to improving public services for all. I am committed to furthering ASPA’s mission and legacy. I will beaccountable to our members andcollaborative with sections, chapters, and other partners. Together we can make ASPA stronger. I am excited for ASPA’s future. A leader and practitioner in the public and nonprofit sectors, Janice R. Lachance is the former Director of the US Office of Personnel Management (OPM) and currently the CEO of the Special Libraries Association where she leads 9,000 information professionals in 75 countries. Nominated by President Clinton and unanimously confirmed by the US Senate in 1997, Janice became OPM’s Director after working her way up within the agency from Director of Communications to Chief of Staff to Deputy Director. Janice is an elected Fellow of the National Academy of Public Administration, with service on its Board, Executive Committee, and numerous study panels. She is also a Fellow of the American Society of Association Executives, an honor given to less than 1% of ASAE’s membership. Janice received her JD from Tulane University and her undergraduate degree from Manhattanville College. She is licensed to practice law in DC, Maine, and the US Supreme Court. Armed with more than 30 years of recognized leadership as a leading practitioner in the public and nonprofit sectors, my goal as your Vice President is to raise ASPA’s profile among thought leaders and policymakers, while strengthening the vital connection between ASPA’s academic members and their important research, and our practitioner members who rely on those results to succeed. I did just this during my four-year tenure as OPM Director. Appointed by President Clinton and unanimously confirmed by the Senate, I used the results of research and data from the field of public administration to set evidence-based priorities and inform my top achievements at OPM. They included ground-breaking legislation providing an affordable long-term care insurance benefit for the federal workforce and their families, expanding FMLA to allow the use of sick leave to care for immediate family members, increased benefits in the nation’s largest employer-sponsored health insurance system, the growth of the Federal Executive Institute, and the revival of the Presidential Management Intern (now Fellows) program. I hope to elevate ASPA’s role in governance at all levels of government, working with the numerous dedicated professionals in our organization to engage with high level policymakers and managers. Our unique perspective on public service is needed more than ever as hard-pressed leaders attempt to provide the public with services it rightly expects from government. This goal should not stop at the nation’s borders. I hope to bring my extensive experience in the international arena to benefit ASPA’s global collaborations and strengthen the exchange of information among academics and practitioners in an ever-shrinking world of common challenges and shared missions. With your support in this election, I will join with you to build upon ASPA’s already significant achievements, raise its profile, and communicate the value and contributions of its dedicated membership. 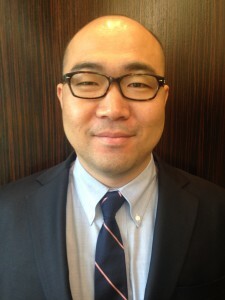 Byungwoo (Shine) Cho is a doctoral student in the School of Public Administration (SPA) at the University of Nebraska – Omaha (UNO). He has been an ASPA student member since January 2013. He was selected as a 2013 ASPA Founders’ Fellow through the sponsorship of the Section on Personnel and Labor Relations (SPALR). In 2013-14, he served ASPA as a member of the Founders’ Fellow Selection Committee. He received his B.A. and M.A. degrees in Public Administration from Yonsei University (South Korea) and MPA degree from the Andrew Young School of Policy Studies, Georgia State University (Atlanta, Georgia). His concentrations are in public budgeting and finance and urban management and policy. 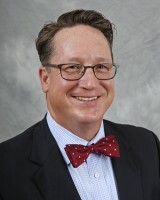 He is the president of the Waldo Society, a doctoral student group of SPA, UNO. He is the husband of a beautiful wife, EJ, and the father of a happy 3-month-old son, Soohyun Daniel. As a Student Representative of the 2015 ASPA National Council, my top priority will be helping student members have more opportunities to secure professional employment through ASPA’s career development programs. * Establishing an improvement plan to make them sustainable. I am a well-qualified candidate. I am ready to perform my duties with wide-ranging knowledge and experience achieved during six years of post-graduate education in public administration and wide human network achieved by actively participating in ASPA events and serving ASPA. I make a pledge that I will do my best to achieve this goal: to provide student members more career development opportunities through ASPA. I would appreciate your vote and I look forward to your suggestions to make ASPA more meaningful to student members’ career development ([email protected]). Lindsey Evans is a doctoral candidate in the Wilder School of Government and Public Affairs at Virginia Commonwealth University (VCU), where her concentration areas are higher education policy, access, and equity. 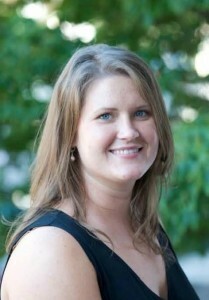 Lindsey serves as a program coordinator at VCU’s Grace E. Harris Leadership Institute. Previously, she worked as a graduate research associate and as an instructor of research methodology and public administration in the Wilder School of Government and Public Affairs. Her research is engaged in several initiatives designed to promote resources in the areas of social equity and higher education. 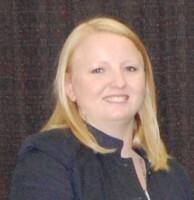 Since beginning her graduate studies in 2008, Lindsey has been passionately active in ASPA. In addition to regularly presenting at regional and national conferences she was selected to participate in the 2014 ASPA Young Scholars Workshop hosted by Jilin University, P.R. China. She also received a Founder’s Fellowship Award for ASPA’s 75th Anniversary. Lindsey has effectively served in senior leadership capacities for university-wide student focused organizations, including the graduate student association and public administration student association at VCU. I have considerable experience in effectively engaging students as well as high level practitioners, faculty, and administrators. My desire to serve as student representative stems from the tremendous impact ASPA has had on my personal and professional development. ASPA has provided me opportunities to benefit from senior-level mentorships, partner with students and practitioners worldwide, and explore innovative research topics. I am committed to bridging all ASPA members for collaborative opportunities. I will bring my positive attitude, outstanding character, and established track record to foster these essential collaboration opportunities for student members. As student representative, I will work to successfully leverage innovative opportunities for ASPA’s student, professional, and academic members. 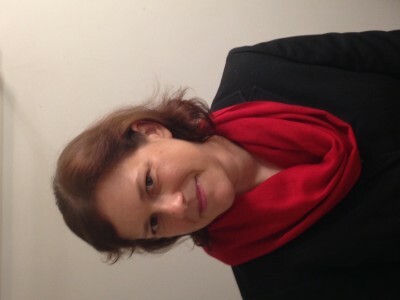 Andrea Huston has been a member of ASPA since 2012 when she began her PhD at Walden University. Her 16-year Federal career has included positions at the Department of the Navy, the Office of Management and Budget, and the Department of Defense where she is currently a management analyst. Andrea has been active with nonprofits to address diabetes advocacy and healthy living habits while working on committees and chairing events with the Hawaii Chapter of the Juvenile Diabetes Research Foundation and the Hawaii Office American Diabetes Association. In addition to ASPA membership, Andrea is a member of the American Society of Military Comptrollers. She has a BA in International Studies, a BA in Global Business from the University of Evansville, and a MA in Security Policy Studies from The George Washington University. Andrea lives in Hawaii and is working on her dissertation exploring institutional influence on practitioners in executing policy. Young scholars need a voice within ASPA, which the Student Representative provides. In my PhD journey, I have been impressed by my colleagues’ commitment to the broad range of issues covered within the Public Administration field. My fellow students have found their passion in tackling difficult problems. Their diverse and innovative approaches can benefit from further involvement in ASPA events and publications. This summer I participated in the ASPA Young Scholars Workshop where I presented my initial dissertation research to a group of doctoral students and seasoned academics. This event allowed me to present my ideas in a welcoming environment and received constructive feedback. I gained a great deal and would like to give back so that more students can benefit from the knowledge and experience resident within ASPA. As the Student Representative, I would like to develop additional opportunities for PA students to participate and highlight their research within the ASPA community, either at regional or national conferences. I would also like to work with different sections to highlight scholarship specific to those areas. Finally, I want to explore ways that PA students can network beyond their academic programs. Each time I meet another PA scholar, I gain more energy for my own work and learn something. Like other PA students, I am also a practitioner who has dealt with both successes and challenges within the public sector. My PhD efforts have been inspired by my career and experience volunteering within the diabetes nonprofit community. This has framed the way that I have been able to apply PA academic theory to problems in the field. I am committed academic research to support public administration approaches, theory, and practice and value the potential that it affords practitioners to be effective. 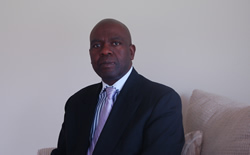 Ohakwe Odum is a seasoned administrator with over nine years in the field. Having drawn some words of wisdom from his father who retired as a Permanent Secretary with the Abia State Government, Nigeria, he developed a curious mind with regards to Public Administration. 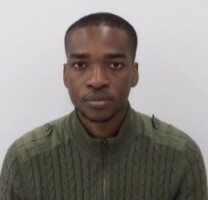 He received a Bachelor of Science degree in Political Science from Babcock University, Nigeria and is currently studying for his MPA in Criminal Justice Policy and Administration at the John Jay College of Criminal Justice, New York. He has held several leadership roles wherein he served meritoriously as the MPA Students Association (MPASA) Treasurer and President in 2013 and 2014, respectively. 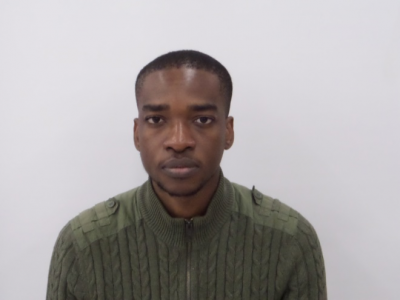 As the President of MPASA, Ohakwe improved the quality of the programs with greater networking and educational opportunities and improved the image of the Association. He also served as a Welfare Officer, Protocol Officer and Assistant Secretary General of the Igbo students Association (ISABU), Political Science Students Association (POLSSA) and Babcock University Students Association (BUSA) respectively. He was awarded the Borno State Government Corpers’ Award due to his relentless and selfless service. With my wealth of experience and having attended several programs locally and internationally, I intend to improve the networking opportunities for our members, most especially for the students. I believe in continuity and the introduction of new initiatives which is always the fundamental backbone of any great and dynamic group. Furthermore, all policy needs and concerns would be addressed promptly and channeled towards positivity and growth of the chapters. Judith Weshinskey-Price is a doctoral student in the Emergency Management Department at Jacksonville State University and the director of a public safety communications center for the City of Amarillo, TX. She currently holds a Masters in Public Administration from Wayland Baptist University and a Bachelor of Arts in Emergency Management from University of Wisconsin-Green Bay. Judith has been in the public safety communications profession for over 16 years and is a dedicated participant in multiple organizations related to public administration such as ASPA, emergency management such as IAEM, and public safety communications such as NENA and APCO. Judith has held various organizational offices including the board of the NG911 Institute, president of the JSU chapter of IAEM, participates and leads state and national committees, and provides training and instruction. Judith is a 2014 ASPA Founder’s Fellow and has been a speaker at state and national conferences, has been published in various periodicals including PA Times Online, and has a chapter in an academic book forthcoming. ASPA provides a very wide range of opportunities for growth and improvement in skills and education that I have been able to take advantage of to improve both my career prospects as well as my ability to perform my duties and increase the quality of service I provide to citizens and colleagues. As a member, I have been able to take advantage of social networking, educational opportunities, been recognized by the organization, and developed relationships that will facilitate my continuing growth and learning. Not only is ASPA a wonderful resource for students whether they are just entering the professional world or have years of experience, but students are a great resource for ASPA. Students are the future of ASPA and public administration bringing in continuity over the years, new leadership, and new ideas to contribute to the quality of ASPA as an organization. It is very important that students participate as members of ASPA to benefit from the resources available through the organization and to contribute to the enrichment of the organization. If elected as student representative, I will commit myself to working toward ensuring both students and ASPA benefits from that relationship. I will work to increase opportunities for students to learn and grow through professional development, networking, and participation. I will seek to increase student membership to contribute to the overall quality of the organization as well as the individual growth of the student and encourage diversity in membership so that all may benefit from the unique perspectives of each member. Lastly, I will encourage students to participate as leaders and mentors so that ASPA as an organization grows through these contributions as students are gaining leadership experience. The relationship between ASPA and student members is an important one for both the organization and the students. This relationship should be nurtured and encouraged and this will be my goal if elected. Currently a full-time Lecturer of Public Administration, Department of Public Management, John Jay College of Criminal Justice, City University of New York, Stephen Rolandi’s involvement spans public service and the independent sectors. From 2008-13, Steve was Deputy Commissioner for Finance and Administration for the New York State Division of Human Rights, the oldest civil rights agency in the USA. 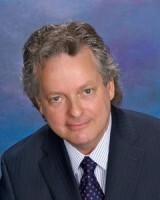 At DHR, Steve managed Human Resources, Finance, IT, Training and Facilities. Steve served with the NYC Office of Management and Budget, City Planning Commission and Department of Records and Information Services. He was Director of Finance and Administration for CUNY’s Baruch College (SPA); Adjunct Lecturer at John Jay College; Budget Manager for AFS Intercultural Programs and Consultant to the New-York Historical Society. Steve holds BA and MPA degrees from New York University. President, New York Metropolitan Chapter. I want to extend my sincere thanks to the Nominating Committee and those ASPA members for recommending my candidacy for the National Council this past summer. I have devoted much of my life and career to the public service, which I have found very rewarding and fulfilling. Now is not the time for those of us in public service to sit on the sidelines, but rather to roll up our sleeves to meet the challenges of the 21st century. I am very passionate about the public service and ASPA. After a successful career as a practitioner in government and the not-for-profit sector, I am now teaching full-time, working to train the next generation of public service leaders. I hope that I count on your support in the coming months. Thank you for your time in reading my statement. 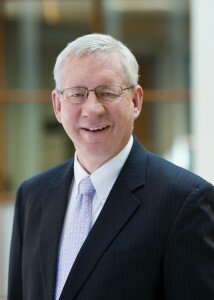 Raymond W. Cox III is a Professor of Public Administration at the University of Akron. He has taught in universities in Minnesota, Arizona, New Mexico and Florida. Dr. Cox brings to the academy nearly two decades of government experience. He has served as a legislative analyst (Massachusetts), as a Program Director at the NSF, the Chief of Staff to a Lt. 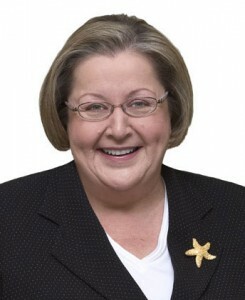 Governor (New Mexico) and as a member of the Akron City Council. He has provided consulting services in Latvia (2003) and Research Chair in Public Policy at McGill University (2007) both through the Fulbright program. 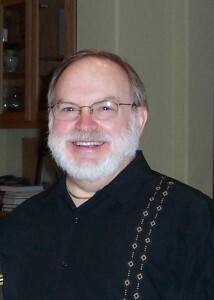 In April 2006 ASPA recognized his service with the Donald C. Stone Award. He has been Section Chair of SPAE, Ethics and SIAM. He served as the Chair of the Local Government Management Education Committee of NASPAA from 2006-2011 and currently is the Vice-Chair of ICMA’s Advisory Board on Graduate Education. I was an ASPA Fellow in 1972, but like many other students I did not continue my membership until a few years later (1977). I am proud to say that since then I have remained an ASPA member. I have remained active through the rough times (the steady drop in membership and the decline in the number of chapters from 120 to about 40) and happier moments (my election to National Council in 1988 and my receipt of the Donald C. Stone Award in 2006). I have been an active and engaged member serving as an officer in Chapters and Sections, as vice-chair of a Capacity Steering Group and the National Council. Despite the decline in numbers, there still is a place for ASPA in supporting both the academic and professional sides of ASPA. The question is, how can we make the organization relevant to both communities? We are an organization of the very young (students are 50% of our membership) and then people with long ties ASPA. We have lost the middle… whether mid-level public managers, or junior faculty. We have lost touch with our roots; the chapters, the place young professionals and practitioners engage with ASPA. In a time when fewer people commit to “membership” organizations, we must find a way to re-invigorate chapters, or at the least explore models of interaction and participation that reflect the community building and networking character that once typified the chapters. Second we must explore how we can make the expertise that still resides in our members accessible to the members and a broader community. This implies more, distinct, activities for those constituencies; students, practitioners and academics. We must rethink our relationship to those we serve. From the vantage point of the “west side” of this district that is my goal. Diane M. Disney, Ph.D., is a consummate “pracademic,” with senior-level positions in federal and state government, nonprofit organizations, and higher education. 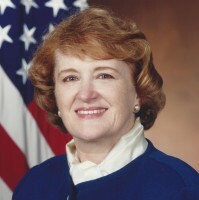 As Deputy Assistant Secretary of Defense for Civilian Personnel Policy, she oversaw the development and implementation of policies for its one million-plus employees around the world; her leadership led to a successful rightsizing by convincing Congress to enact soft-landing legislation for displaced workers and by bringing labor and management together through the Defense Partnership Council. Long active in economic development, she was a principal researcher for Rhode Island’s Workforce 2000 Council, as well as a member of the Governor’s JOBS Council. She also headed the Rhode Island State Council on the Arts, and worked as a research associate for the Urban Institute’s Nonprofit Sector Project. A board or committee member for some 40 nonprofits (including the National Academy of Public Administration), she has served on numerous legislative, executive, and judicial commissions at the state and national levels, as well as several international defense commissions. This multi-level experience has made her aware of the importance of strengthening chapters and sections to foster sound working relationships across multiple parts of ASPA. Achieving tenure at two major universities, Dr. Disney headed the Research Center in Business and Economics at URI and is Professor Emerita and former Dean and Chancellor at Penn State. Her doctorate is from Brandeis University in policy analysis. Her passions are public administration, making organizations prosper, and learning the guitar. My life has been dedicated to public service, as both a practitioner and an academic. It grieves me to see the disdain with which elected officials and the press regard those who have committed themselves to making the world better through public-sector employment and analysis. Therefore, I want to join ASPA’s National Council to continue finding ways of conveying the truth about public administration and the people who devote their professional lives to it. At the same time, ASPA offers a unique opportunity to further the development of those very people (especially the next generation of leaders) and to help make “good enough for government work” convey the excellence it did a century ago. With a foot in both worlds, I have bridged the gap between theory and practice by sharing research through the mass media, by serving as a federal and state executive, and by serving on multiple commissions, such as the Federal Human Resources Technology Council, the Governor’s Personnel System Review Committee, and the Civil Justice Advisory Board for the U.S. District Court. Internationally, I headed negotiations for labor agreements with Portugal, South Korea, and Germany, as well as serving on bilateral defense commissions with Argentina, Brazil, and Chile. Such experiences could help the National Council develop and strengthen strong, strategic non-US partnerships. Of particular relevance to the District II position is my time on a range of boards, for such organizations as the Federation of State Humanities Councils, the Naval War College Foundation, SER=Jobs for Progress, and the Chester County Economic Development Council. My life has centered upon public service, and I see the District II position as a valuable way to continue that mission. Donald F. Kettl is a professor in the School of Public Policy at the University of Maryland. He is also a nonresident senior fellow at the Volcker Alliance and at the Brookings Institution. Kettl is the author or editor of a large collection of books and monographs, including System under Stress: The Challenge to 21st Century American Democracy Homeland Security and American Politics (2014), The Politics of the Administrative Process (2012), The Next Government of the United States: Why Our Institutions Fail Us and How to Fix Them (2008), and The Global Public Management Revolution (2005). He has twice won the Louis Brownlow Book Award of the National Academy of Public Administration for the best book published in public administration. In 2008, Kettl won the American Political Science’s John Gaus Award for a lifetime of exemplary scholarship in political science and public administration. He was awarded the Warner W. Stockberger Achievement Award of the International Public Management Association for Human Resources in 2007 for outstanding contributions in the field of public sector personnel management. Never before has strong national leadership on public administration been more important, but never before has there been such a wholesale assault on government and the people who serve it. No less a source than 60 Minutes has declared, “There is no underestimating the general dysfunction and incompetence of government bureaucracy.” Such statements, repeated so often, not only further undermine trust in government but make it even harder to improve government’s performance—or attract the nation’s young future leaders to public service. Those who work in and study government know the enormous contributions that government and its workers make in the daily lives of citizens—through fire and police protection, highways and airports, Medicare and Medicaid and Social Security, and so many other programs. But the challenges that government faces cannot be underestimated, as government’s strategies and tactics fundamentally change and tight budgets make it even harder for governments to solve the problems they face. ASPA’s intellectual leadership to better understand how to improve government’s performance in times of fiscal stress. Effective education that prepares students for careers in public service and that ensures the pathways from our schools to public service careers are free from roadblocks and speed bumps. Lively research that builds new foundations for advancing the performance of public programs. Global engagement that galvanizes ASPA’s leadership in world affairs. Most important, strong and effective voices to advance the ideal of public service on which American democracy so fundamentally depends. As a member of the National Council, I would greatly value the opportunity to support ASPA’s leadership on these important goals. Dr. Gedeon Mudacumura is an Associate Professor of Public Administration at Cheyney University of Pennsylvania, coordinator of the Master of Public Administration program. Prior to joining full-time the academia, he worked for the Pennsylvania State Treasury Department first as a Research & Development Analyst, and then as a Training Development Manager. Additionally, he spent fifteen year working for the government of Rwanda on various development projects sponsored by the World Bank and the United States Agency for International Development. His international development work experience has enabled him to build a network which serves as a basis for his on-going and continuous research. Dr. Mudacumura has co-edited three books: “Challenges to Democratic Governance in Developing Countries” published in 2014 by Springer, London; “Sustainable Development Policy and Administration” published in 2006 by CRC Press, NY; and “Handbook of Development Policy Studies,” published in 2004 by Marcel Dekker, Inc., NY. He has also published articles, in peer reviewed journals. Dr. Mudacumura organized two International Conferences on Democratic Governance. The first was held on the campus of the University of Pennsylvania from August 8-10, 2012, and the second took place in Kigali, Rwanda, Africa on June 30-July3, 2014. Both conferences brought together an international group of scholars and practitioners from diverse disciplines to collectively explore the multiple facets of the problems of democratic governance, particularly as they relate to corruption, and to suggest concrete strategies geared toward solving these problems in Africa, Asia, the Middle East, and other regions of the world. With the current trend toward globalization, the National Council, ASPA’s governing body, will better serve its local, regional, national, and international members only when the National Council membership includes a new breed of international “pracademics.” Pracademics refers to individuals who have been in the field as practitioners and are now in the academia or have taught for years and are now practitioners. My 15 year work experience in international development management in Africa, coupled with 11 year teaching experience at Penn State University and Cheyney University of Pennsylvania put me rightly in the category of pracademics. I have what it takes to represent both ASPA practitioners and academics of District II on the National Council. Joseph (Jody) Holland is an Assistant Professor in the Department of Public Policy Leadership at The University of Mississippi. He received his Ph.D. from Mississippi State University in Public Policy and Administration. 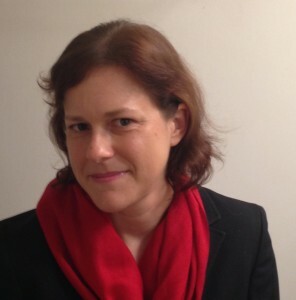 Jody’s research focuses on food policy in the United States. In addition, Jody pursues an engaged scholarship agenda with non-profit organizations that promote rural community development and advocate farmers’ issues. Before transitioning into his current research role, Jody worked in both the private and non-profit sectors, where he managed operations and conducted operational research. His work can be found in Review of Public Personnel Administration (ROPPA), Handbook of Employee Benefits and Administration, Journal of Transportation and Land Use, and Public Works Management and Policy. Jody’s dissertation efforts were awarded national recognition by the American Society of Public Administration’s (ASPA) Section on Transportation Policy and Administration (STPA) in April 2010 because of his transportation policy streamlining research. Currently, he teaches Introduction to Public Policy, Economic Development and Public Policy, and Food Insecurity, Farm Policy, and Community Action. I look forward to the opportunity to serve as the District III representative on ASPA’s National Council. My focus and goal as representative will be to assist in continuing to strengthen chapters within the SECoPA region as well as assisting ASPA in remaining the model organization for public administration. I am an active member of ASPA and have attended several ASPA National Conferences since 2010. As a member of ASPA, I have served as a member of the national finance committee, and currently serve as a mentor within ASPA’s Future Leaders Mentoring Program. In addition, I served as Secretary for the Section on Transportation Policy & Administration. As a member of SECoPA, I have served as a Board Member and Finance Committee Chair. Currently, I serve as Chair for the Collins Award and as a member of the Endowment Committee. My position as Assistant Professor at The University of Mississippi allows me the opportunity to continue working with government organizations focusing on a wide range of research and organizational capacity building strategies. I have collaborated with the Department of Homeland Security (DHS), Federal Highway Administration (FWHA), Appalachian Regional Commission (ARC), Delta Regional Authority (DRA), Mississippi Department of Transportation (MDOT), and National Center for Intermodal Transportation for Economic Competitiveness (NCITEC). As District III Representative, I will work to promote ASPA as the most influential organization for public administration. I am excited about the future of ASPA. Dan Lasseter is a Public Service Assistant with the Carl Vinson Institute of Government at the University of Georgia. He is well recognized among the human resource management community from across the country as a leader in conducting key executive search functions and developing sound operating procedures for personnel promotion testing. 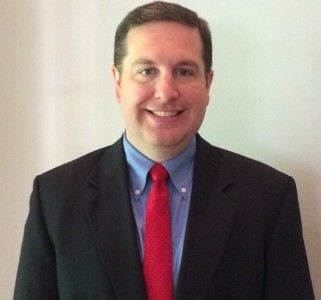 Dan has been a member of the American Society for Public Administration (ASPA) for more than a decade. This past spring, he was awarded the Chester A. Newland Outstanding Service Award by recent Past-President Steve Condrey, for his leadership in managing the recent Executive Director search for ASPA, the position now held by Bill Shields. In this role, Dan worked very closely with the Selection Committee comprised of ASPA members as well as those serving on National Council to ensure the process was met with the highest integrity and standards. Apart from this, Dan has also been an active member of the Mentoring Committee for the past two years; which, by default, worked closely with the Founders Fellows Selection Committee in partnering selected students and new professionals with senior scholars in the field. As an extension of this involvement, Dan has also assisted Past-Presidents and Student Representatives with a number of related program and development activities. Further, Dan is also an active participant of the Southeastern Conference for Public Administration and an active member of the Section on Personnel Administration and Labor Relations. Dan earned his Masters of Business Administration from Georgia Southern University and a B.S. in Agribusiness from the University of Georgia. ASPA has long been a professional home to me. I initially joined and attended my first national conference as an undergraduate student in order to learn more about the field of public administration and its relevance to efficient and practical governance. ASPA was not new to me, however. My dad was a public sector human resources director who had contributed over the years to the Review of Public Personnel Administration and was a speaker at several ASPA conferences over the years. But as I began to discover ASPA for myself, what intrigued me was how ASPA served as a bridge between academia and public service practitioners. Encourage activism among students and new professionals, which serve as a critical element for sustaining and strengthening our organization. I appreciate the opportunity to serve, and look forward to receiving your questions/feedback. I can be reached by phone at (706) 542-6653 and/or email at [email protected] Thank you in advance for your vote! Terry Murphy, PhD has been involved in the leadership of ASPA from the moment he became a member. While pursuing his MPA at Florida International University, Murphy joined the South Florida Chapter of ASPA and served on the Programming Committee. As President of the Chapter, he initiated the “Best Practices” Conference, a popular annual event that continues to recognize the good works of public administrators. Murphy is currently the Chair of the National Finance Committee for ASPA and the Vice-President of the South Florida Chapter. 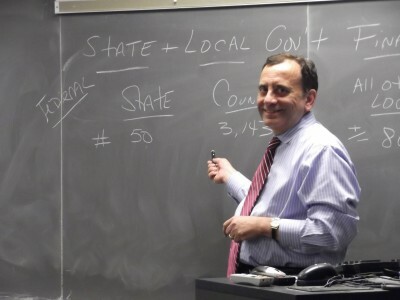 After a 23-year career as a policy advisor to elected county officials, Murphy separated from government service and pursued his doctorate of public affairs. Murphy is currently an adjunct professor at the University of Miami, works as a government consultant, and provides political commentary on local news programs. 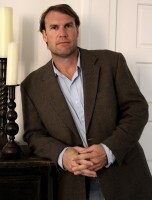 Murphy was born in Greenville, SC and is a former resident of Savannah, GA. If you believe the American Society for Public Administration (ASPA) should embrace the role of advocating for the public sector, you and I are on the same page. The American people have high expectations of their government, but do not generally hold public employees in high regard. This needs to change. ASPA is a national organization that is uniquely positioned to correct the perception of the public service. I am running for National Council to promote the public service and expand the influence of ASPA. ASPA publishes valuable public administration research and analysis focused on the quality and effectiveness of public programs and services. Dedicated practitioners rely on the academic work of our society to improve the efficiency of government. Our practitioners routinely share their knowledge about the various ways to improve the delivery of quality public services. As an organization, ASPA provides a vital service for our country. On behalf of public employees, ASPA can do more to recognize the daily contributions they are making to improve the quality of our life across the country and throughout the world. I remind my students that running government will always present an intellectual challenge, even for the most innovative and creative minds among us. It remains a noble decision to enter the field of public administration, but for those seeking to change the world, it is an easy choice. The key to our success as an organization is building membership. It is my contention that membership will grow as our reputation for advocating on behalf of the public sector grows. I pledge to be your enthusiastic voice on the ASPA National Council in support of programming and activities that will improve the perception of the public service, and respectfully ask for your vote. 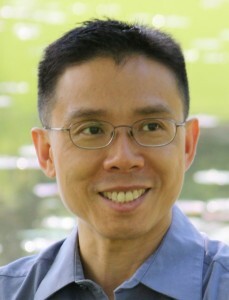 Dr. Alfred Tat-Kei Ho is an associate professor of the School of Public Affairs and Administration at the University of Kansas. He has been an ASPA member since the late 1990s when he was a graduate student. He served as the Secretary of the Association of Budgeting and Financial Management from 1999 to 2000 and is currently a board member of the ASPA Section on Public Administration Research and an editorial board member of Public Administration Review. He has published widely in the areas of public budgeting, performance budgeting reform, e-government, and citizen participation, and many of his publications are the results of engaged scholarship based on close collaboration with state and local officials and citizen groups in various grant-funded projects. Dr. Ho has also done consulting work for the Asian Development Bank and is currently working closely with U.S. local officials as well as researchers in Australia, China, South Korea, and Belgium to examine performance budgeting and management reform strategies. Dr. Ho received his MPA and Ph.D. from the School of Public & Environmental Affairs at Indiana University (Bloomington) and previously taught at Iowa State University and at Indiana University-Purdue University Indianapolis before he moved to the University of Kansas in 2010. 5. Visit local chapters in District IV over the coming three-years to understand their concerns and needs and explore possibilities of collaboration to advance the interests of ASPA and its local chapters. Born and raised in Illinois; moved to California in 1987. 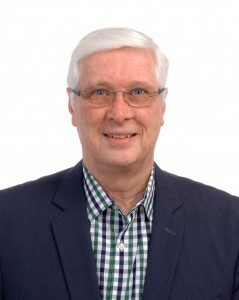 Retired after 33 year career as a federal civil servant – regional program director, three jobs as regional financial management director in two different departments and two different regions. MPA 1972 from Roosevelt University (Chicago); DPA 2004 from USC. I made my living managing financial organizations, but my passion and mission have always been to improve social equity and justice and to promote ethical organizations. I have served as Chapter Treasurer for about six years; Chapter President for one year; National Council representative for six years; founding member and Treasurer since its creation of the ASPA Section on Democracy and Social Justice; served four years on the Budget and Finance Committee; Chaired the Audit Committee for two years; was co-leader of the working group to review the ASPA Code of Ethics; serve on the Code of Ethics Implementation Committee; endowed the Gloria Hobson Nordin Social Equity Award.